Need to get up earlier for work or a workout? To return to your routine after traversing time zones? Or just want to get your day started before the sun comes up? 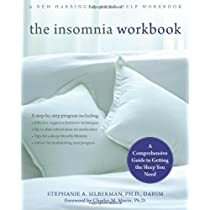 Below, Stephanie Silberman, Ph.D, a clinical psychologist, sleep specialist and author of The Insomnia Workbook: A Comprehensive Guide to Getting the Sleep You Need, provides tips on how to reset your sleep cycle. 1. Make adjustments in increments. Give yourself at least three or four nights to get comfortable with the new schedule. If it’s going well, on the fourth or fifth night, shave off another 15 minutes. Keep in mind that feeling groggy when you get up is normal. As Silberman said, “Most people don’t wake up full of energy.” So expect that you’ll feel sleepy for about 20 to 30 minutes. 2. Be consistent all week. The key to changing your sleep schedule is consistency. That means sticking to the same sleep and wake time throughout the week, including weekends. If you want to sleep in on the weekends, Silberman suggested giving yourself an extra hour (two hours max). You may get less sleep on Saturday, but you’ll be back on track for Sunday, she said. 3. Keep your room dark at night and light in the morning. “Our circadian rhythms are influenced by light and darkness,” Silberman said. Unfortunately, because of daylight savings, it’s still bright out at 8 p.m., which makes switching into sleep mode tough. So, at night, close your blinds and curtains, and use a night light for reading. In the morning, “Flip on all the lights to jumpstart your body,” she said. “Wear sunglasses in the afternoon and early evening to naturally [make yourself more sleepy],” Silberman said. Sunglasses trick your brain into thinking it’s bedtime. 5. Get up if you can’t sleep. “Don’t lie in bed tossing and turning, especially if you’re wired,” Silberman said. Instead, get up and do something either boring or relaxing, she said. If you can’t stop thinking or worrying about something, get it out of your mind by writing it down, she said. 6. Stop pressing the snooze button. While it might be rough to get up earlier, snoozing doesn’t help. “In general it won’t be the best quality of sleep,” Silberman said. She said to set your alarm to the time you actually want to wake up. 7. Follow sleep hygiene rules. If you’re having trouble falling asleep, stop drinking caffeine within 12 hours of your bedtime or exercising within four to five hours, Silberman said. Give yourself an hour to unwind, she said. During that time, don’t do anything stressful or stimulating (such as use electronics). You can learn more about Silberman at her website and follow her on Twitter, where she shares links to articles on sleep.